MariaDB is the community developed fork of Mysql and is a great alternative to it. Its free and open source and is developed by the original developers of mysql. MariaDB is much superior to mysql in terms of features. Check out the comparison between mariadb and mysql. And the best thing is, that its a drop-in replacement for mysql, which means that just install mariadb in place of mysql and all you mysql based applications would run with it the same way. All commands and drivers work the same way. Existing php mysql applications would run the same way with the mysql extensions for php. MariaDB is not available in the default repositories of CentOS, so we have to first add the repositories provided by MariaDB. MariaDB provides repositories for distros including ubuntu, centos, debian, fedora. It is the repository generator. 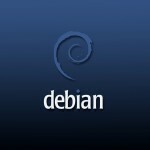 Select your linux distro, version and architecture. It would then give instructions for adding the repository. MariDB comes in 2 series. First is the 5.5 and the other is the newer 10.0 series. The 10.0 series has new features not present in either mysql or previous versions of mariadb. Check out the features of mariadb 10. If you do not need those modern features of version 10.0 then you might want to go with the 5.5 series. If you are permanently migrating away from mysql, then you can first import your database to mariadb 5.5 and then move on to version 10, just to avoid any compatibility issues. In case of any problems just drop in the irc channel #mariadb to get some free help. We are doing it on CentOS 6.4 x64 so I would select the options accordingly. mariadb.org gives me the following repository details for my distro. 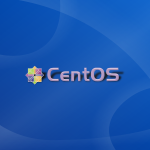 Here is your custom MariaDB YUM repository entry for CentOS. Copy and paste it into a file under /etc/yum.repos.d/ (we suggest naming the file MariaDB.repo or something similar). See "Installing MariaDB with yum" for detailed information. So we create a file called /etc/yum.repos.d/mariadb.repo and fill it with the text given above. Now do a yum search to see that packages in repository, just to make sure that we configured the repository properly and to get the exact package name to use with the install command later. As we can see, the necessary MariaDB packages are right there ready to be installed. Now do a yum install to finish the task. That should complete the mariadb installation. First start mysql server using the service command. Then connect to it using the mysql command. As can be seen above, the mysql command allowed us to connect as root without asking for a password. This is how mariadb is configured by default and is not secure for production environment. To fix this we need to se a root password and do other security improvements, as shown in the next section. Done. Now we have done some basic security improvement for MariaDB. Use the chkconfig command to enable mariadb to start at boot. Good article. One note: Where it says “mysql” or “mysqld” in the start and enable commands, you may need to use mariadb instead.